Digging into Victoria’s pastoral palate. Opens in a new window. Womderful place to stay in Victoria. Close to harbour and BC Leg. Great views from the 8th floor. We had a situation in the middle of the night with a sick child and the staff was fantastic with their assistance. Highly recommend this property! Where to find Langford hotels near an airport? Where can I find hotels in Langford that are near tourist attractions? 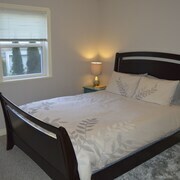 Looking to find a hotel in Victoria, specifically in or around Langford? Within a 0.1-kilometre (0.06-mile) radius of the city center, you can find 7 Expedia-listed accommodation options. 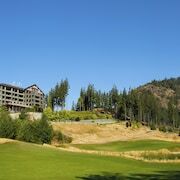 The The Westin Bear Mountain Golf Resort & Spa, Victoria is one of the most conveniently situated accommodation options because it is one of only a few choices within walking distance of the Langford downtown area. 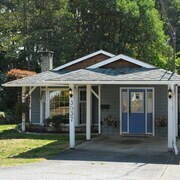 The Sooke Harbour House can be found 18 kilometres (11 miles) away from the middle of Langford. Another hotel is the Oak Bay Beach Hotel, which is located 17 kilometres (11 miles) away. 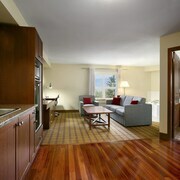 Alternatively you could make a booking at the Brentwood Bay Resort & Spa or the Sooke Harbour Resort & Marina. After you've explored Langford, you should make time to investigate more of the Vancouver Island area. Spend time at Vancouver Island's old towns, history museums and open-air museums. You should also make the time to to admire the region's forests, rivers, streams and lakes. Popular things to do in this particular part of Canada include snowboarding. Sidney is 25 kilometres (15 miles) to the northeast of Langford and is where you'll find Iroquois Park and Rotary Park. Should you wish to spend a few nights in Sidney, be sure to check out the The Sidney Pier Hotel & Spa and Beacon Inn at Sidney B&B. 25 kilometres (15 miles) to the northeast of Langford, you may also choose to stay at Booktown, home to the Victoria Airport / Sidney Travelodge and Best Western Plus Emerald Isle. The Lolly Gobble Sweet Shop and Sidney Skate Park are a couple of the most popular points of interest to explore for those visiting Booktown. Just because you are traveling, doesn't mean you can't enjoy your love of sporting events. BC Place Stadium is 95 kilometres (60 miles) to the north of Langford. Those wanting to find a room or apartment nearby can make a choice from the Fairmont Pacific Rim or the Shangri-La Hotel, Vancouver. For those travelers planning on arriving or departing through Victoria International Airport, you may find it convenient to book a room at The Cedarwood Inn & Suites, or Rae Leigh Heights BnB, both of which are a short distance away. What are the most popular Langford hotels? Full House With AC. Sleeps up to 11! 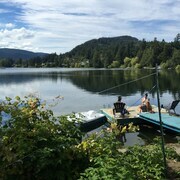 Are there hotels in other cities near Langford? What other types of accommodations are available in Langford? 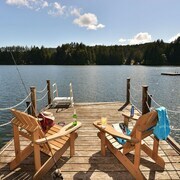 Explore Langford with Expedia.ca’s Travel Guides to find the best flights, cars, holiday packages and more! Flights from Pierre Elliott Trudeau Intl. to Dallas Fort Worth Intl. Flights from Pearson Intl. to Las Americas Intl. Flights from Macdonald Cartier Intl. to Austin Bergstrom Intl. Flights from Pearson Intl. to Mactan Cebu Intl. Flights from Pearson Intl. to Hato Intl. Flights from Pearson Intl. to Key West Intl.